It’s simple, really. Rose brown hair is what you’d call brunette locks that have been enhanced with a subtle dose of pink. It’s a little like rose gold, except it relies on a deep base color, rather than a blonde or red. Above, you can see a clear difference between the two trends, with rose gold (on the left) offering a lighter pink finish, while rose brown (right) is all about a softer kiss of color in a berry, raspberry or pastel tone. In fact, the rose brown trend plays perfectly into this season’s Insta-Vintage movement, which is all about giving your favorite hair colors (whether that’s blonde, red or, indeed, pink) a lived-in makeover for an ultra-wearable look. 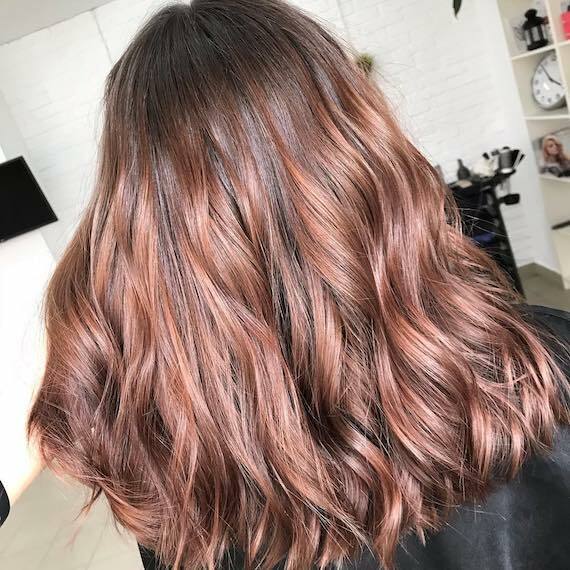 How Do You Get Rose Brown Hair? If your client’s base color isn’t already brown, first tone locks using a permanent formula, like Illumina Color, which veils hair in a light-reflective sheen to ensure newly-darkened locks never look flat. Any shade of mid brown or dark brunette will work, as rose brown is suited to all undertones. This means you can take the trend warm or cool, depending on what suits your client’s skin tone best. 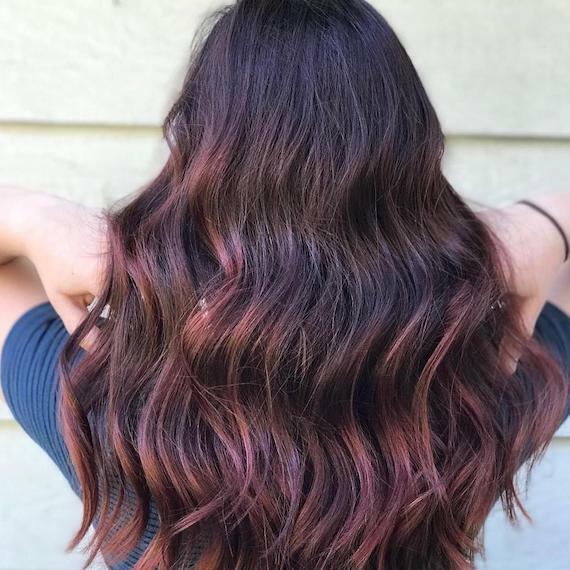 Achieving rose brown hair comes down to a combination of color and technique, and a freehand, painterly approach, like balayage, often lends the dreamiest effect. Use our high-precision pre-lightener, Blondor Freelights, to lighten the sections where you want the rosy hues to appear. Opt for a lower level of lift, as the final look should have a muted finish. 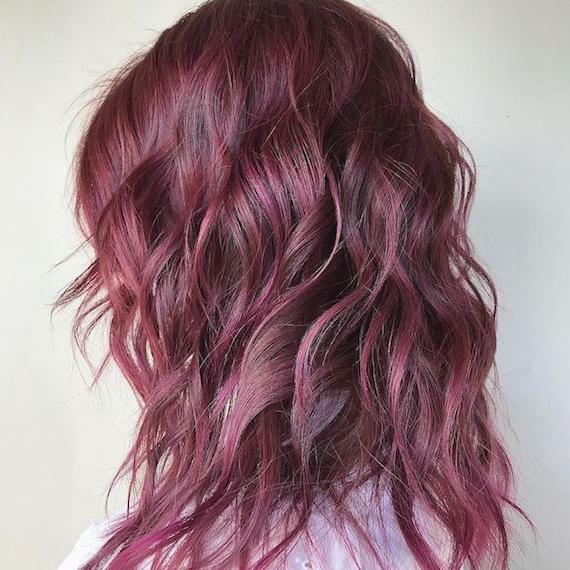 Next, mix up a rosy shade with semi-permanent formula, Color Fresh CREATE, which comes in two pink shades: soft, subtle Nu-Dist Pink and vibrant High Magenta. The two can be custom-blended to appear as intense or subtle as you’d like, but the most unique looks happen when you add in one of our three shade-shifting additives. Try Tomorrow Clear for a pastel finish, Tonight Dusk to take the tone deep and moody, or Vintage Blush if your client likes a pretty, powdery, filtered effect. Anything’s possible. Just look at this raspberry chocolate mane. 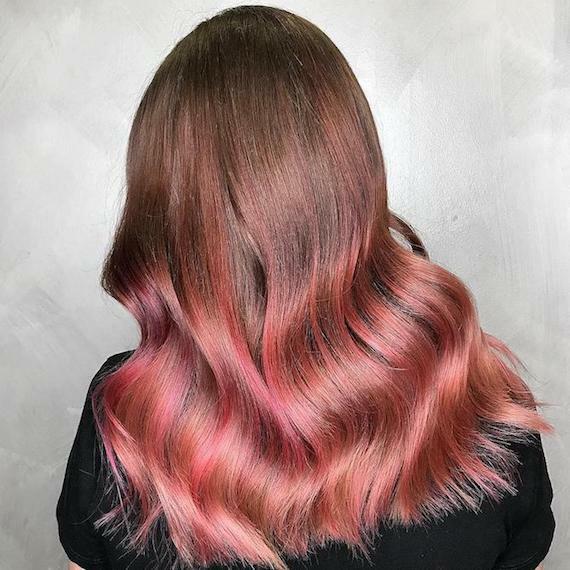 For true pink hair lovers, this rose-to-brown ratio will fit the bill, as it features only hints of brunette peeking out through boldly-coloured waves. If you create this kind of look for your clients, make sure you add a salt spray, like EIMI Ocean Spritz, for texture when you style. That glow, though. Shauna Forman created this luminous look using Color Touch, starting with a root blend of 15g 6/0 + 5g 6/75 mixed in a 1:2 ratio with 1.9%. Through the ends, Blondor Freelights 6% was applied to prep for rosy color, before the mid band was toned using Color Touch 10g 7/75 + 3g 9/36 mixed in a 1:2 ratio with 1.9 %. Mid-lengths then melted into ends thanks to a combination of 10g 10/0 + 1g 55/65 + Special Mix 5g /56 + 1g /68 1:2 with the pastel developer. Dreamy. If soft and subtle is the goal of your rose brown ‘do, look to Tori Kring for inspiration. The Wella Passionista added just a touch of rosy color to the ends of her client’s dark brown hair. 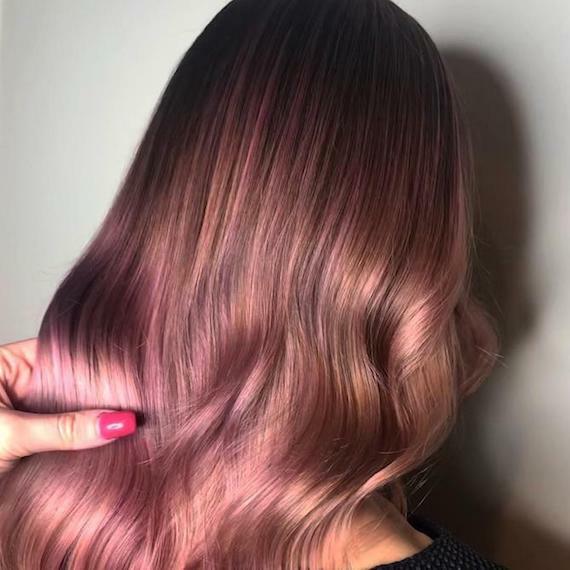 This look is perfect for clients who want a lower-commitment take on the trend, as you still get a hint of pink, but it will gradually fade to brunette over time. 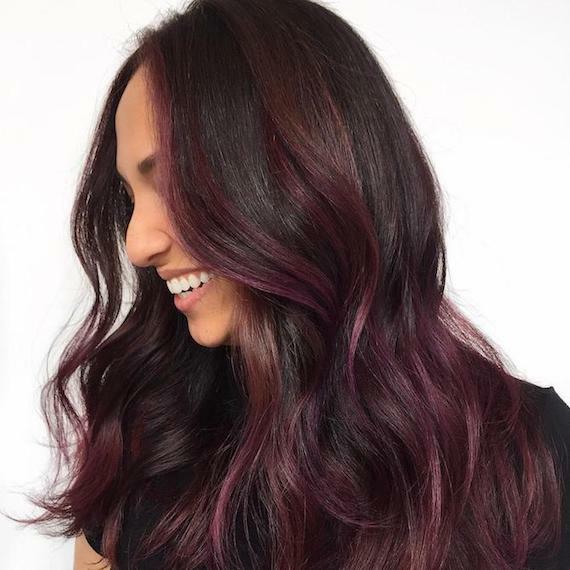 Dark and vibrant all at once, this pinky-purple, rose brown look demonstrates the trend’s shine-boosting abilities. For extra gloss, mist EIMI Oil Spritz into the palms of your hands and press over the surface of loose waves. From the mid-lengths to ends, Katharina Pfrang has gone heavy on the pink tones using Color Fresh CREATE. After lightening with Blondor Freelights + 4% 13vol and toning highlights Color Touch 7/75 + 1.9% 6vol, she applied Hyper Coral + Infinite Orange + Tomorrow Clear 2. 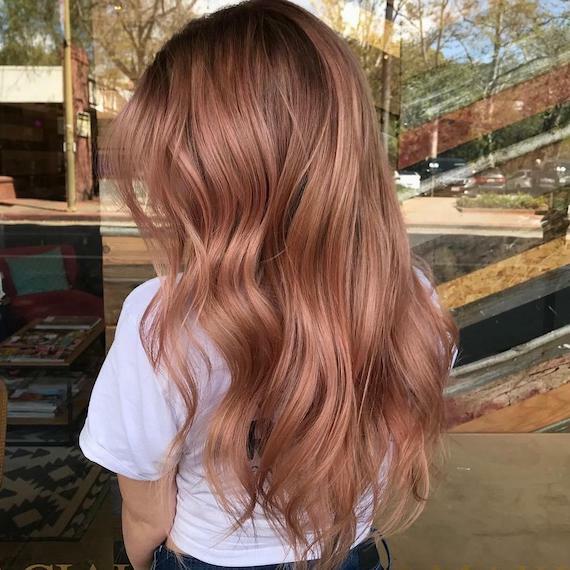 1. with Color Touch 6/45 + 1.9% 6vol to get this rosy color melt. 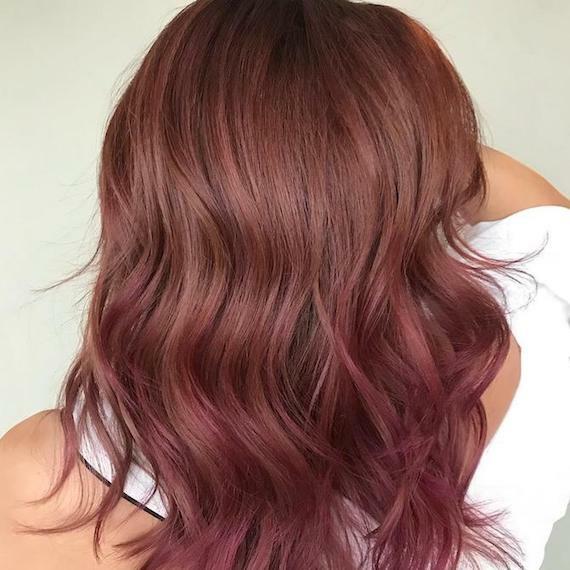 Another rosy creation from Wella Passionista, Jamie Keiko, this lived-in ‘do features a little bit of red through the roots, then seamlessly melts into a deep magenta. We love the almost-matte finish, which can be recreated by adding the Color Fresh CREATE Tonight Dusk additive to any pinky blend you mix up. You know the drill. When it comes to looking after colored hair, it’s always best to swap traditional shampoos for color-specific care products, like INVIGO Color Brilliance Color Protection Shampoo. Recommend this and Color Recharge Red Conditioner to your rosy-haired clients, as the conditioner deposits a small amount of color that keeps pinky tones looking fresher for longer. However, if they really want to live la vie en rosy locks, regular touch-ups are a must. Between color appointments, encourage a quick lunchtime toning session every four weeks. Easy. Looking for more hair inspiration? You’ll find endless hair ideas on the Wella Hair Pinterest board, and @WellaHair Instagram. Make sure to tag us in your photos with #WellaHair #AskForWella to show off your latest styles and be in with the chance to get featured on our social channels.